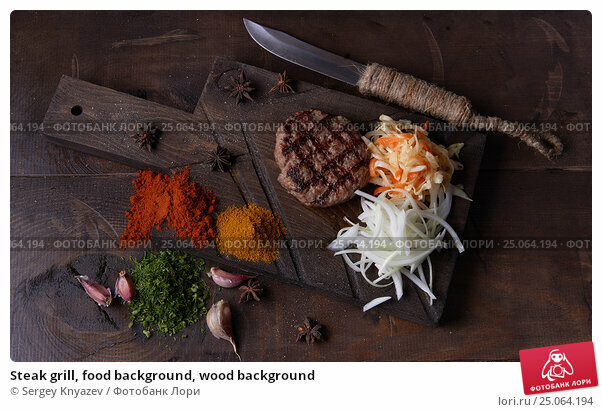 Steak grill, food background, wood background. View from above. Studio photography, Subject photography.